Here at Lanes Group, we take advantage of all of the latest advances in drain repair and no-dig technology to deliver the most effective work with the lowest amount of disruption to the client. Our state-of-the-art ultraviolet (UV) lining process is a key part of this, and we’re always investing in new cutting-edge equipment to help us make crucial repairs to collapsed or damaged pipes in a way that’s quicker and more cost-effective than ever before. 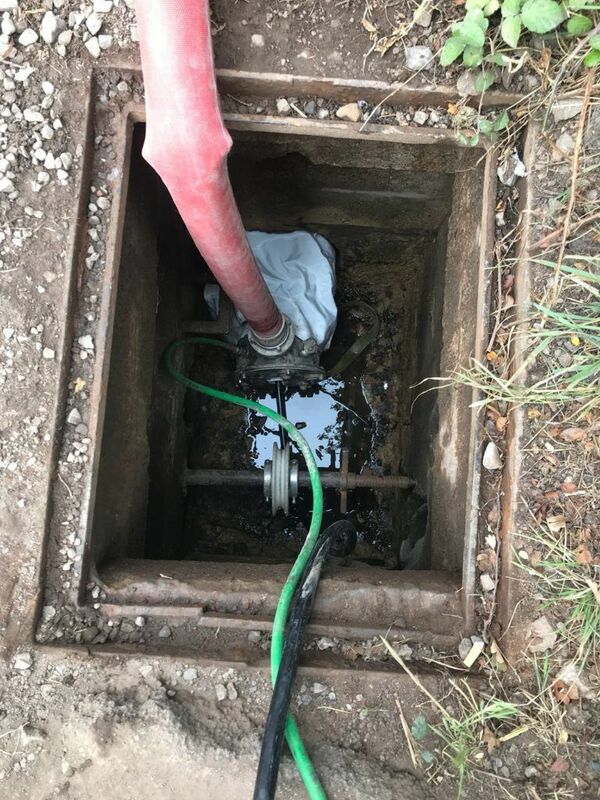 With UV lining, our team of reline engineers are able to fix problems with damaged drains and sewers without having to dig up and replace large sections of deeply-buried piping. The method also offers several advantages over conventional cured-in-place pipe (CIPP) repair techniques in many circumstances. Read on to find out more about how UV lining works, and the benefits it can deliver; alternatively, you can call us on 0800 526 488 for more information, or fill out our online enquiry form to request a call back at your convenience. How does UV lining work? The basic process behind no-dig UV drain lining is similar to that involved in all forms of CIPP relining: a liner layered with a special resin is inserted into a sewer or drain, before being turned inside out and forced through the pipe using either water or air pressure. The resin then bonds to the surface, essentially creating a new pipe within the damaged pipe, which restores the integrity of the drain or sewer. Older methods relied upon hot-cure CIPP, which involves pumping hot water through the pipe to cure or harden the resin impregnated in the liner. 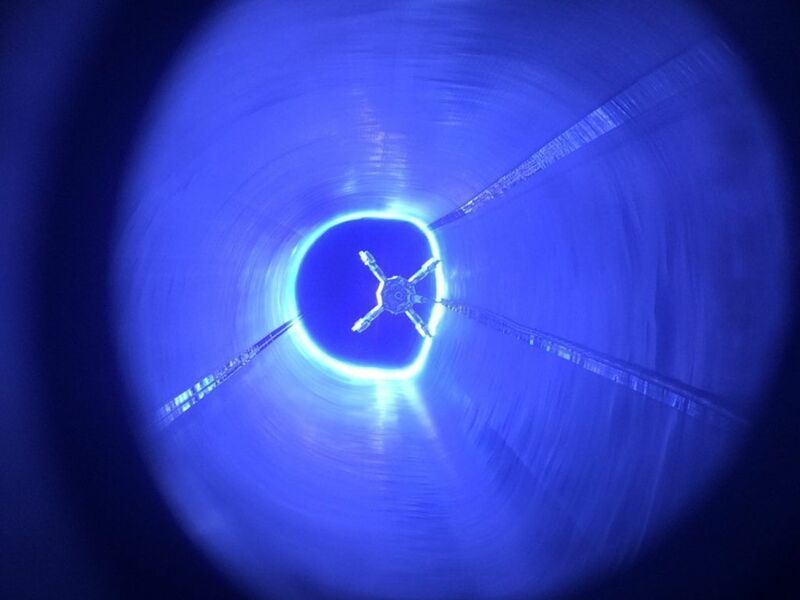 However, the advent of UV lining means this process can now be done with UV rays instead, via a UV light train that is pulled along the length of the pipe. Since it was originally popularised in Europe, UV lining has quickly gained prominence in the UK, and is now seen as the go-to solution for many drainage repair jobs. What are the benefits of UV lining? Since UV lining is fundamentally similar in principle to CIPP repair, it offers many of the same benefits. Resin relining allows long-lasting repairs to be made to sewers and pipes without needing to dig anything up, meaning work that previously would have taken days or weeks to complete can instead be finished in a matter of hours. However, UV lining also has some specific advantages of its own. Compared to older no-dig CIPP methods, it offers faster curing – at a rate of a metre per minute – and requires less equipment, with less work involved in setting up and dismantling the apparatus. This makes it especially suitable for busy locations like roads, railways and airports, or for geographically awkward sites where there is limited room to manoeuvre. What’s more, this approach offers environmental benefits over the hot-cure method, which inevitably generates a certain amount of styrene-contaminated water that must be disposed of as hazardous waste. UV lining avoids creating any kind of dangerous byproducts, which makes it safer and more cost-effective. Nevertheless, hot-cure CIPP remains advantageous in certain situations – for example, in cases where there are bends in the pipes being lined, or when chemical-resistant liners are required – which is why it’s important to take advice from an expert drainage solutions provider that can help you find the right solution for your circumstances. As the UK’s largest privately-owned specialist drainage contractor, Lanes Group is ideally placed to fulfil all of your UV lining and drain repair needs. Lanes is recognised as a pioneer in the use of UV lining in the UK, winning a UKSTT award for installing the country’s first chemical-resistant UV liner at the Solutia chemicals factory in Newport, South Wales in 2016. We are also known for spearheading the installation of UV liners in motorway drainage pipes as part of Highway England’s SMART Motorway programme. What’s more, we recently invested more than £1 million in three new dual-core UV lining systems from ProKASRO, allowing for faster curing, reduced energy usage and greater control. These systems have been designed according to Lanes’ specifications, and each comes equipped with a sophisticated digital monitoring system to help us continuously improve performance and supply to clients – you can read more about this new technology here. Not only are we capable of delivering innovation and efficiency in our relining work, but we also have considerable experience of managing large-scale projects without impacting the day-to-day operations of our clients. We appoint individual project managers for larger undertakings, offering industry-recognised assurance and expertise. If you have any queries about our UV lining services, our expert team are on hand to answer your questions. Call us today on 0800 526 488 for a free quotation, or fill out our online enquiry form.